The eXmux® 4500 Multi-Service Access & Transport (MSAT) Platform addresses the challenges of network migration and infrastructure upgrades for power utilities. This solution bridges the gap between legacy and modern technologies and allows you to move your network forward without leaving anything behind—on your terms. I get all of the benefits of a modernized network without compromising reliability, survivability, operational network needs, and security. The drag-and-drop UI and the guided approach to provisioning helped me to deploy in a few hours, instead of a half day or even longer. The guided system configuration helped both our seasoned engineers as well as newer hires work seamlessly during network migration. Our company currently keeps OT and IT communications separate, but this system will allow us to converge them when we’re ready. Move your network forward without leaving anything behind—on your terms. 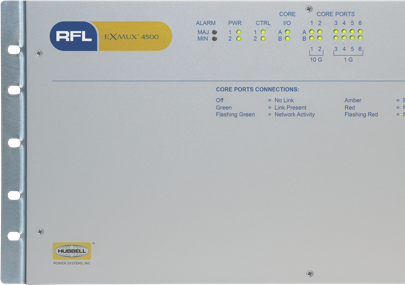 Learn more about how you can move your network and infrastructure forward with the eXmux® 4500. Please fill out the form at right to download.